Keeping your sporting goods store operations profitable entails understanding your business and knowing how to stay lean, monitor fast-moving items and implement cost-effective business processes and relationships. You also need the power to serve your needs and that of your customers — whether one is responding to special orders or simply processing complex transactions at the point of sale station. 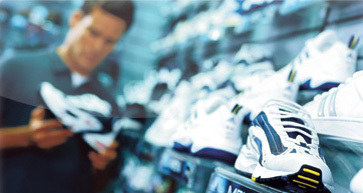 Our sporting goods store POS solution provides sporting goods store retailers the right business tools to help compete effectively in an ever-changing and demanding marketplace.